Graphic design for Marin, the Bay Area, an the Planet since 1996. I building customized web sites that stand out from the crowd. Everything is hand-created to suit your needs, and my innovative technologies provide flexibility to change and evolve your web site as your needs grow. ASP.Net, PHP, FLASH, e-commerce, social networking, or any combination of these technologies will be completed in-house and on-budget. Identity, logo, merchandise, website, and start-up business consulting for a successful family oriented outdoor science education and adventure company. Identity, logo, website, content writing, and consulting for a successful manufacturer and provider of furniture for elite audiophiles. 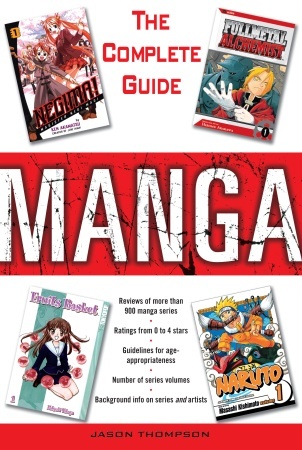 Website for industry-defining manga and anime company, responsible for such well-known titles as POKEMON, YugiOh, Shonen JUMP, and Naruto. At the time of POKEMON release, site served some 40k hits daily. Fully FLASH site for very successful Malaysian cafe in Lafayette, CA. Recently voted #2 on SFGate.com BEST ASIAN RESTAURANTS OF THE BAY AREA. Site, web promotion and SEO completed during the grand opening. Design, illustration, and layout of educational books. Consulting on overseas web development and PHP. Various illustrations and projects. Consulting for international web design, including: Revlon South Africa, Namco UK, and the British Milk Marketing Board (before its dissolution in 2002). Designs for AM Consultancy website. Trained for 3 years by lead animators from PIXAR and ILM, I bring a level of skill and experience unheard of in a contracting professional. Principles of animation need not be compromised by the needs of technology. Neon Genesis Evangelion. How to Talk to Girls. The Principles of Animation... Public speaking is more than a job, it is a calling at venues across the country and animation conventions. Teaching chess to kindergarteners... that is work! DVD commentary describing (in real time) the philosophical and artistic implications of the defining Japanese animation of the 1990's, still regarded as the most influential work in recent Japanese entertainment. Recorded in Houston, TX at the ADV Films studio. Classroom teaching for K-5 students in basic and advanced chess. Class sizes range from 9 (Kindergarten) to 16 (4th+ grade). 10 years of hosting educational panels on Introduction to Animation, cel painting, How to Talk to Girls, Neon Genesis Evangelion, Animated Screenwriting, Anime Industry Inside Info, How to Illustrate, etc... At my peak, I would speak for 16 hours over a 4 day period with 4 hours of sleep. Graphic design/production assistant for popular manga magazine featuring the most popular comics from the original Japanese edition. 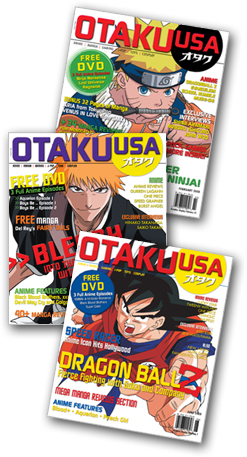 Each issue of SHONEN JUMP contains over 300 pages of manga, plus artist interviews, card games, video games, toys and anime information. Editing and layout for a educational volume guiding the reader through the precautions granting safe and effective applications of essential oils. Editing and layout for a reference book and promotional materials. Various publications, promotional materials, direct mail, seminar materials, CD packaging and production, product design and other graphic resources for industry-leading aromatherapy educational company and their sister MOTO/e-commerce business. Includes several websites (ASP, .NET AJAX, SQL, etc). Illustration, marketing, manufacture, and retailing of an eccentric line of clothing for eccentric people, primarily via Anime conventions. Idiomatic expressions translated and repaired; a task which "polishes my arms" (Ude o Migaku, meaning it forever demands that I improve my skill). What does the Chicago Manual of Style say to do? No matter, I write articles for publications and prepare publications for english-speaking audiences. Cover story on Evangelion 1.0, the newest DVD release of the Neon Genesis Evangelion box-office juggernaut. Editing, layout and localization for several foreign language papers and transcribed presentations. Editing and layout for a reference book. Photoshop-based lettering and retouch of a Japanese comic series (manga) for American audiences. English scriptwriting adaptation and Photoshop-based lettering and retouch of a Japanese comic series (manga) for American audiences. English scriptwriting adaptation and Photoshop-based lettering and retouch of a Japanese comic series (manga) for American audiences. Printing Sept 8 2009. Photoshop-based lettering and retouch of a Japanese comic series (manga) for American audiences. Printing Dec 1, 2009.
Review contribution, limited layout, and art for reference book with reviews for more than 900 series, vital facts, and background information. Paste-up lettering and retouch of a Japanese comic series (manga) for American audiences. The above is primarily for the use of search engines to index the content of the primary FLASH document. If you are seeing this, you likely have flash disabled or represent the 3% of users that resist its use.